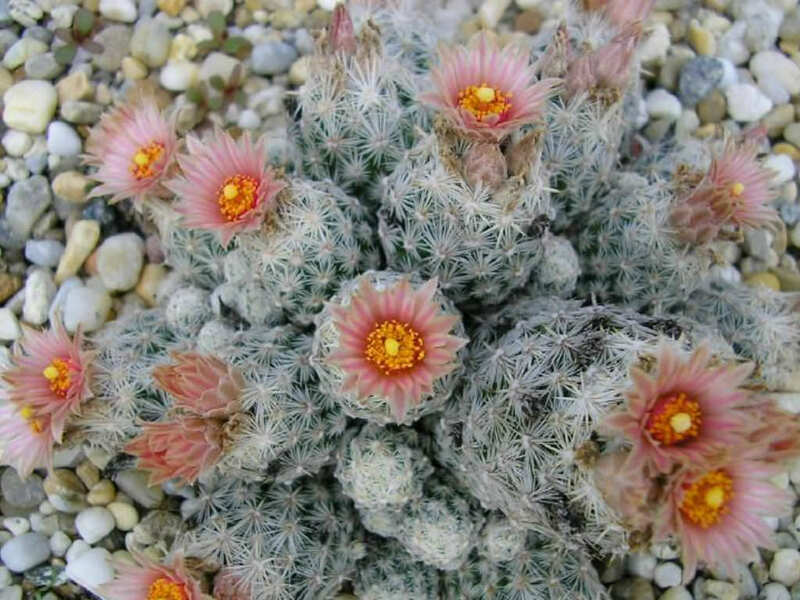 Escobaria sneedii is a small cactus growing up to 11 inches (27 cm) tall. The species may branch profusely, even when small and immature. 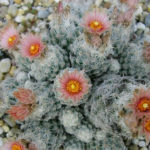 It is coated densely in patches of bright white spines; each patch may have nearly 100. 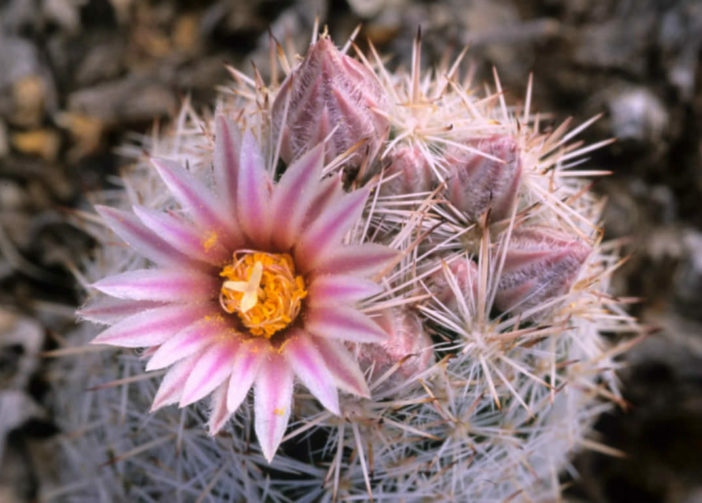 Depending on the substrate, the spines may be tinted with yellow, pink, purple, or brown. They may have dark tips and as the cactus ages the spines darken to gray and even black. The shape of the spines separates the varieties: Escobaria sneedii var. sneedii has straight spines that spread from the areole and Escobaria sneedii var. leei has curved spines. 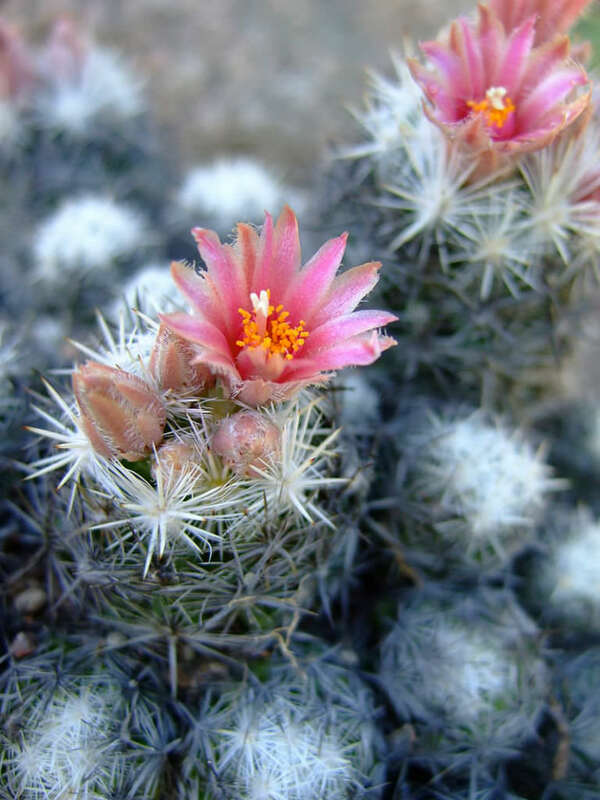 The cactus blooms in spring, bearing flowers up to 1.2 inches (3 cm) long near the top of its body. The flower is variable in color. It can be bright to pale pink, white to off-white, greenish, or brownish in color. Each tepal may have a darker midstripe of most any color. The fruit is generally either red or green, usually tinged with other colors, and may be up to 0.8 inch (2 cm) long. The Escobaria are very susceptible to rot and therefore require a well-drained soil, without any water excess or stagnation; it has been observed that the plants also suffer the environmental humidity, which should preferably remain very low (30-50%). Avoid watering during the winter, when the plant is dormant: watering Escobaria in cold environmental conditions will almost certainly lead to death of the plant. 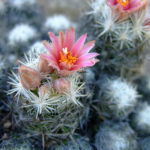 In the growing season the plants, whose growth is typically quite slow, like to perceive a significant temperature difference between night and day… – See more at: How to Grow and Care for Escobaria. Native to to the Chihuahuan Desert, where it occurs in scattered locations in New Mexico, Texas, and Chihuahua.